Major League Bishop: Month of the Blog! Major League Bishop Mailbag! Hey, hey, hey. It's the Month of the Blog Major League Bishop Mailbag! Or to simplify things - the MOTBMLBM! I have a few questions, but they were from a while ago. Like 2010. 1) How am I supposed to take breaks at work without Ben videos? 2) How much does that kid weigh nowadays? Is he back on the charts? 3) Does ben miss his aunt Allison? Just how would he pronounce aunt by the way? 4) Why has Blacksburg gotten so much more snow than Chicago so far? 1) You ask, and Major League Bishop delivers! 2) Ben weighs about 40lbs. Yes, he has made it back to #7 on the Billboard Top 40 Charts. Total Eclipse of the Heart Remix. Hailey on the other hand is about 20lbs. No top 40 hits yet. 3) Yes, and Ant. or Awnt. Haven't asked him recently. Hailey pronounces it - daaaa! 4) Two Words - El. Nino. Come on people! 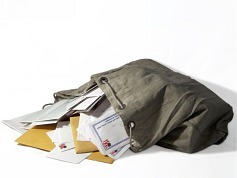 More mailbag questions - send them to majorleaguebishop@gmail.com! I'm so anxious to see The MLBs and their new, improved landscaping! Seriously, though. We would hope he could get into any college he chooses and hopefully we can steer him into a position to do so. Oh, and Duke.